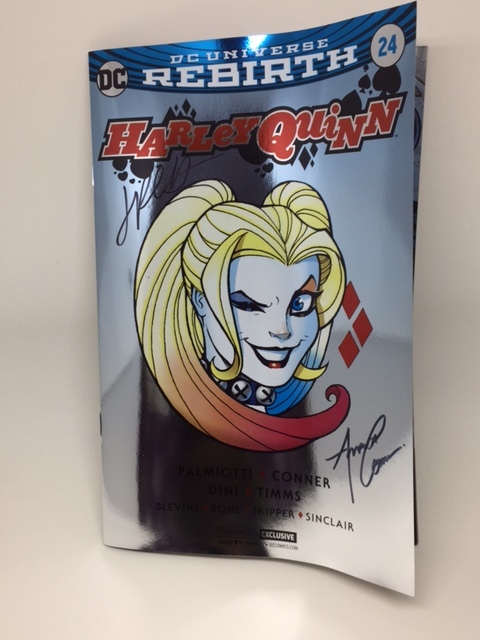 Harley Quinn #24 San Diego Convention Exclusive Foil Cover! 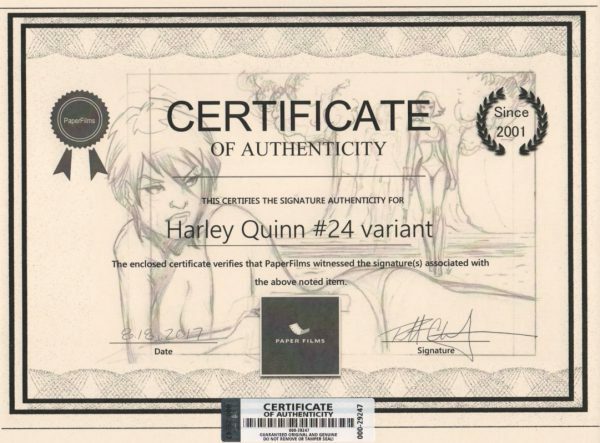 We have secured a number of Harley Quinn #24, “THE PARENT TRAP”! Harley has faced every challenge even she could possibly imagine, but can she survive…a visit from her parents?! 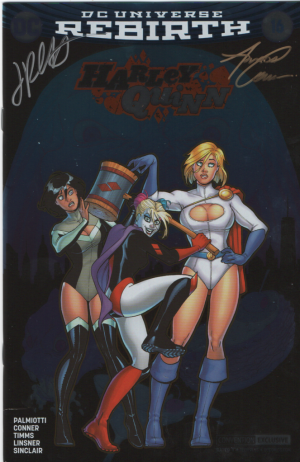 And in “Harley Loves Joker” part eight, the duo’s new headquarters comes with some unforeseen complications! 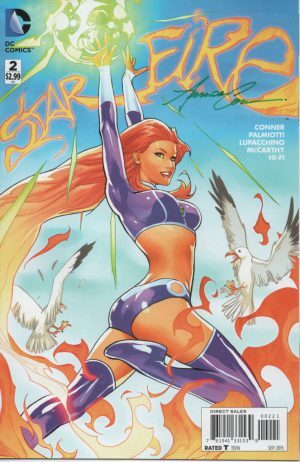 This version of the issue is the SDCC (San Diego Comic Con) convention exclusive foil cover. Only sold at the convention. 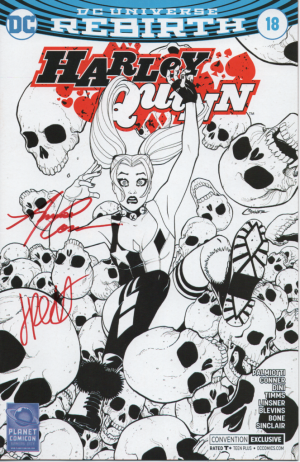 We were able to obtain a limited number of these books and sign them for our website. 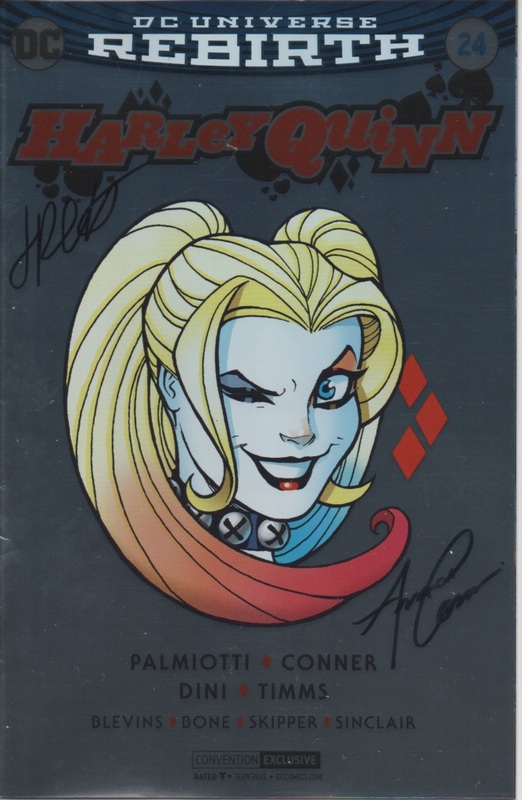 This book comes hand signed by Amanda Conner and Jimmy Palmiotti and comes with a PaperFilms Certificate of Authenticity indicating this is signed and purchased directly from our website.